As many as nine people were killed and 22 critically injured after a bus travelling from Pune to Latur met with an accident in Beed on morning. 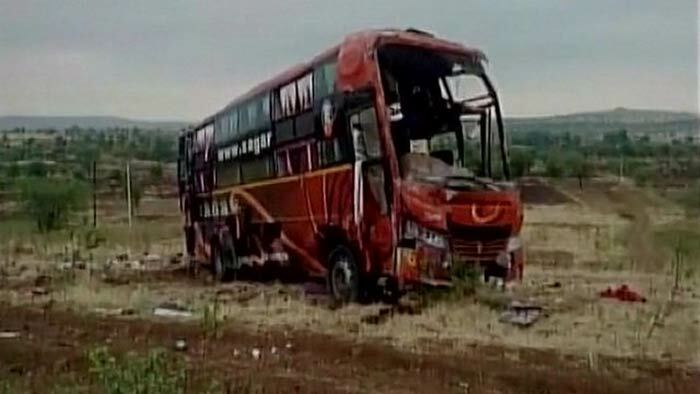 Mumbai: As many as nine people were killed and 22 critically injured after a bus travelling from Pune to Latur met with an accident in Beed on early Sunday morning. After the accident, eight people died on the spot, whereas one was declared dead at the Ahmednagar Government Hospital. The injured are admitted in the Ahmednagar Government Hospital.